Dachau, Germany (March 10, 2016) - Because he had to give up his shotgun, a Bandidos rocker from the district Dachau (54) feels discriminated against - and complains before the District Court. For 20 years a 54 year old marksman from the district of Dachau had a gun control bill - to a pistol, a revolver and a shotgun in the closet. But the district administration Dachau has him 2014 withdraw his gun license and confiscate the weapons. The sport shooter who needed the gun for his professional services in the security sector, namely a member of the Bandidos biker club - and so it is noisy office "weapons legally unreliable". The previously completely innocent 54-year-old feels discriminated against by the behavior of the authorities. Therefore he complains before the administrative court in Munich. Poor opportunities. 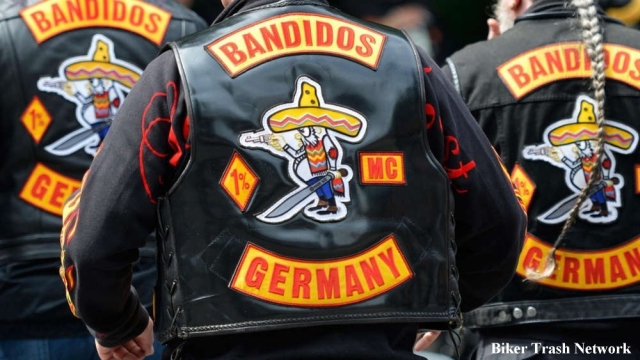 The 54-year-old, who hails from Lower Bavaria, was only a member of the Bandidos MC in Regensburg. After this so-called Chapter officially disbanded in November 2014 he was a member of the MC sheet. 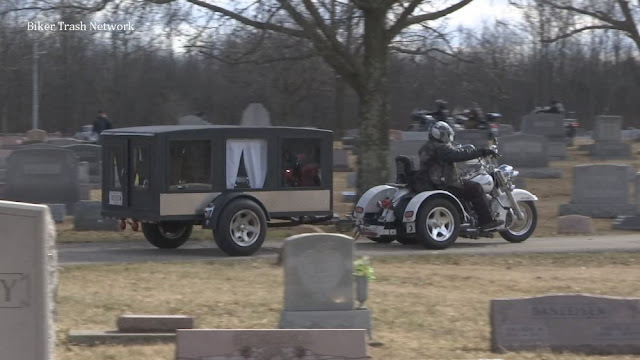 "I am a motorcyclist," said the biker who likes to travel with his Harley Davidson or Suzuki. "I have never had anything to do with crime. But I will here interpreted that I am in a criminal organization and that I could use weapons offenses. " In fact, his Bundeszentralregister is empty, it does not even have points on their license, he says. "It makes me a criminal, just because I'm at the Bandidos. It is all thrown into one pot. "Once he has committed his life long no offense, he wonders why he should now start with 54 so. "I am strengthened by my in character so that I take my command no offense." He has since been sold, as recovery would have cost too much money him his arms. The Landratsamt Dachau but has a very different view than the marksman. The Bandidos there is a hierarchy, and in this hierarchy crimes were being committed, an employee of the authority said in court. "It is simply the risk." Closer look at the scene of the rocker clubs were then a police officer of the State Criminal Office. The Rocker Club "Bandidos" is a so-called "Outlaw motorcycle club," he explained. He also laid emphasis on the statistics. So there was 2014 in Bavaria more than 300 methods for organized crime, of which 23 are in force range, ie extortion, assault, Robbery and Firearms. Of which in turn 17 of rocker clubs were committed. "This corresponds to 74 percent," said the detectives. "Are most often of criminal proceedings concerned the Hells Angels, but then come right the Bandidos." However, the lie only because the Bandidos have fewer members. The applicant's lawyer protested against these remarks: "You have to decide individually thing." His client was "absolutely reliable". But the chances of the 54-year-olds from the district Dachau are bad. "The weapons law strictly," said the presiding judge. Who leads weapons, must prove that he is personally suitable and reliable. It had already been decided by the highest courts, that it was lawful, if you withdraw the weapons permit solely because of belonging to a Rocker Club as the Bandidos.